An agreement has been reached for Pere Milla to spend the coming season out on loan at Segunda División side UCAM Murcia. Lleida-born Milla was signed by the Armeros on a two-year deal in June as an affiliated player, with the plan being to send him out on loan to a Segunda División club. Last season saw the 23-year-old attacking midfielder turn out for Segunda B outfit UD Logroñés, where he netted 18 goals in 40 appearances. 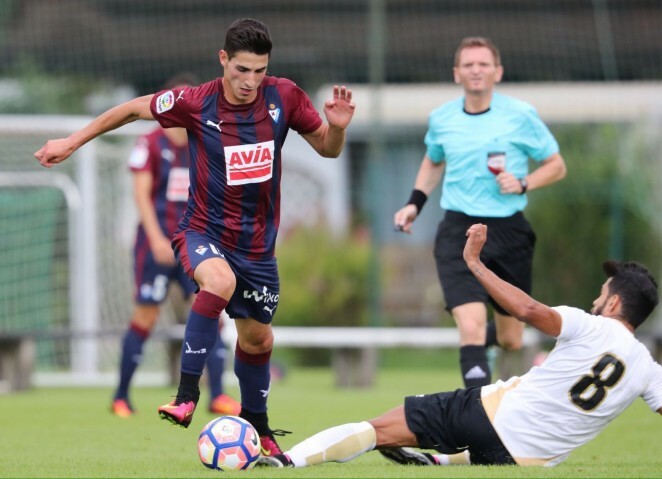 The new UCAM Murcia man spent the first part of pre-season under the orders of José Luis Mendilibar, claiming one goal and two assists in the games in which he featured.